New York Food Company will bring the party to you with off premise catering service for any occasion or event. 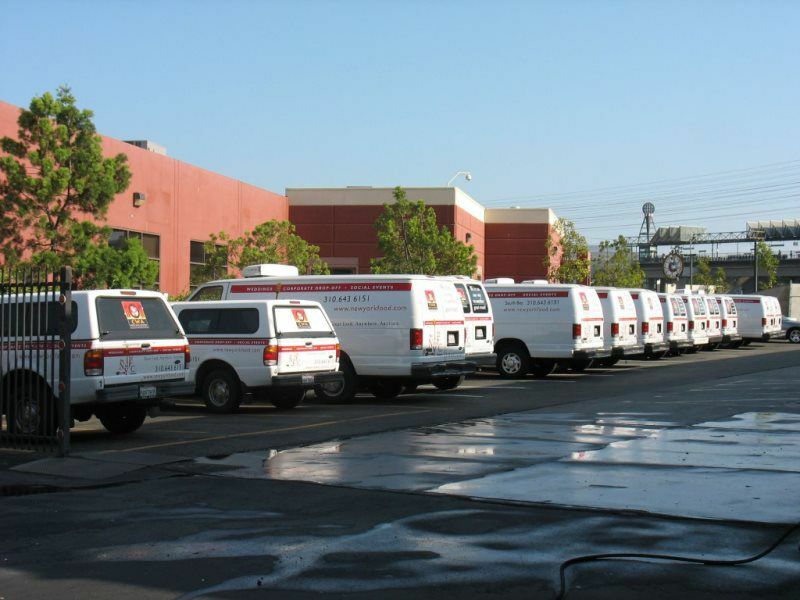 We have provided gourmet cuisine, reliable service, and prompt delivery to Southern California since 1979. NYFC’s expansive delivery area includes: El Segundo, Torrance, Manhattan Beach, Long Beach, Santa Monica, Marina Del Rey, Carson, Dominguez Hills, Los Angeles, Redondo Beach, Palos Verdes, Irvine, Santa Ana, Newport Beach, and beyond. We are passionate about great food. And our passion knows no boundaries as we feature a variety of recipes from around the world. Our professionally trained chefs are especially savvy about eclectic, creative food trends. They artfully prepare gourmet cuisine using only fresh, local produce, meats, and other ingredients. Our clients delight in the delicious flavors of our food as well as the creative way we display and serve it. We are also sensitive to special requests for those with allergies or restricted diets. So go ahead and ask us about the options for gluten-free, kosher style, vegetarian, or vegan menus. With our extensive drop off catering menu and ability to create custom menus, we can offer catering prices that will meet your budget. To see our current drop off catering menu, you can download a PDF version here: Drop-off Catering Menu . Call us at 310-643.6151 to chat with one of our customer service team members and place your order. If you want to build your own custom menu just give us a call and we will provide a personalized menu price quote for you. New York Food Company’s culinary staff are expert at artful and tasteful presentation of our delicious fare. We offer several presentation styles including our green choice of family style reusable serving dishes, decorative baskets and chafers, our disposable options, fine china glass and silver premium serving dishes, as well as full service decorative buffets. Every NYFC catering delivery is prepared with fresh, local ingredients and perfectly presented with our careful attention to detail and incomparable culinary flair. Our buffet designers make our food displays come to life with their imaginative use of organic and inspired decorative elements. 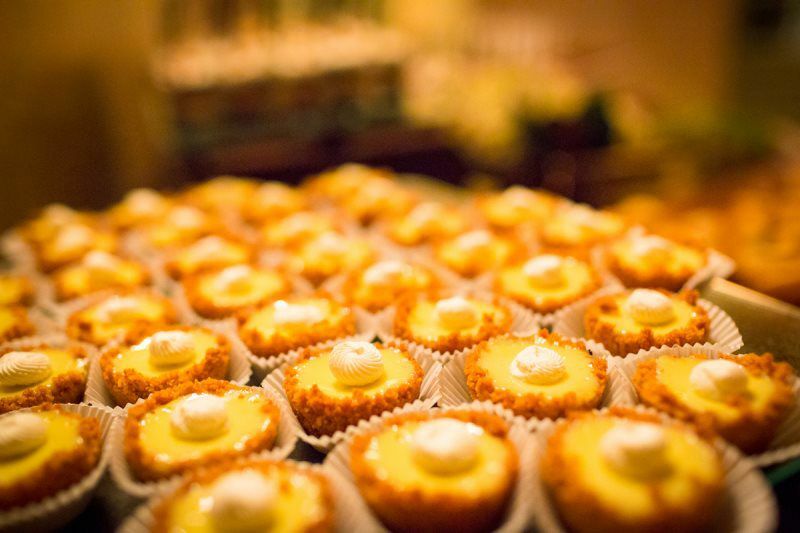 Our buffet catering presentation will entice your guests to come savor the delicious food! We will create a festive, family-style buffet for a casual event or a chic, elegant buffet display for a more formal affair. Serving pieces include natural woven baskets, wooden boards and bowls, fine china, and silver chafing dishes. Earth friendly disposable plates and utensils are also an option for our buffets. Our creative team of buffet designers and chefs work together to make your buffet display a full sensory experience with inspired design and careful attention to detail. 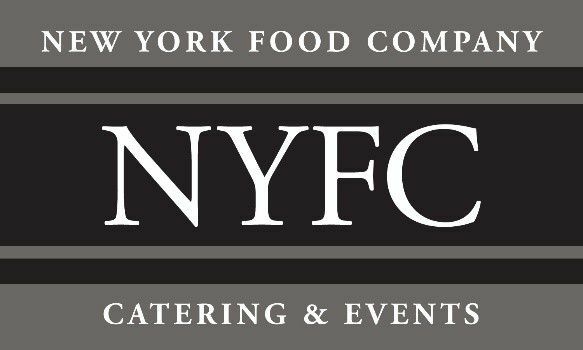 Off premise catering is available and NYFC has the most delicious cuisine Southern California has to offer, artfully prepared and presented by seasoned catering professionals — that’s New York Food Company. We’re ready to take your order and deliver it anywhere and anytime. NYFC caters to you anywhere & anytime with prompt and delicious deliveries for weddings, fundraising galas, corporate events and life’s important celebrations like anniversaries, birthdays, bat/bar mitzvahs, reunions, receptions, or memorials. 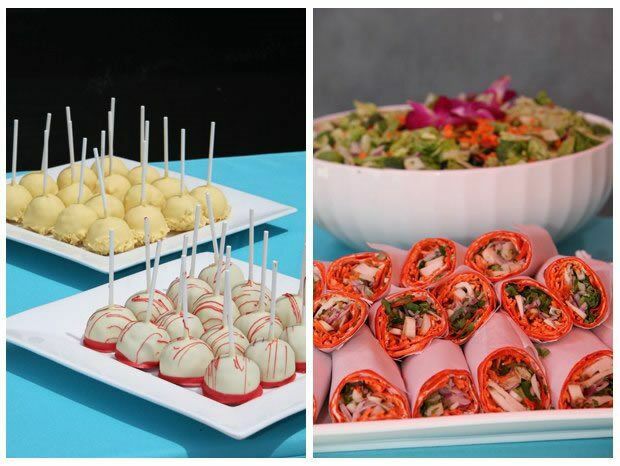 We are happy to deliver a gourmet feast to you anywhere you are — your own backyard, a public space, or a private venue. Ordering is easy, simply call us at 310-643-6151 at least 24 hours in advance. We are honored to have been an important part of countless personal and business celebrations in Southern California for over 35 years. We know our clients by name and we’ve watched families grow up and businesses thrive, as we have become an industry leader in catering companies. 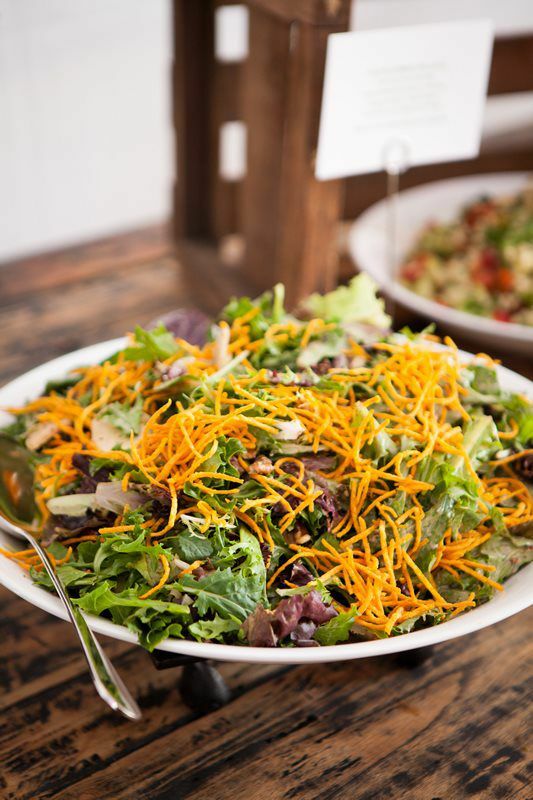 Our community knows that when they need fresh coffee, a hearty breakfast, a satisfying lunch, healthy salads or sandwiches, or a lovely dinner party, they can call on New York Food Company for their full service or off premise catering needs. Lunch is a very popular and important meal of the day! 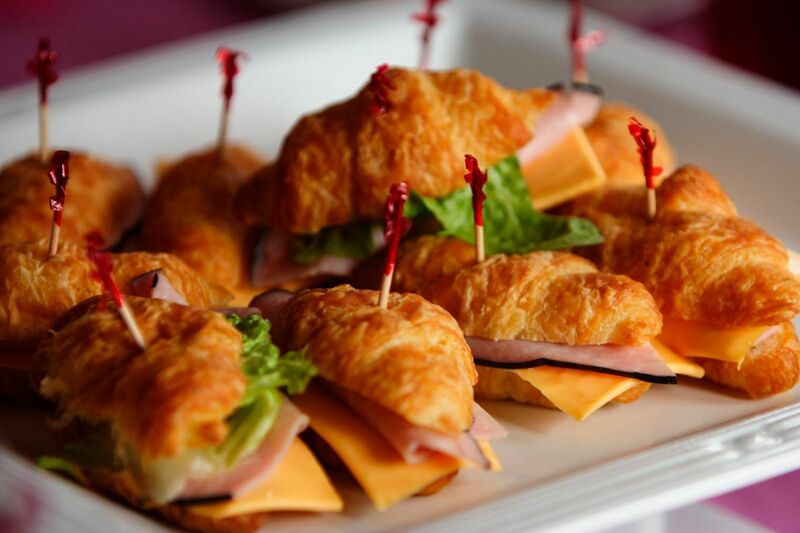 Elegant luncheons to impressive business affairs, NYFC makes it easy for you with lunch catering deliveries. Favorite affordable catering options include our hearty homemade soups, healthy and bountiful salads, traditional deli-style sandwich selections, and gourmet signature sandwich creations like buffalo chicken, cobb-turkey, and grilled Portobello mushroom. Do you have your own culinary masterpiece in mind? Our professional chefs can make your special creation for you and your guests. We love the great outdoors! New York Company will deliver anywhere you are. 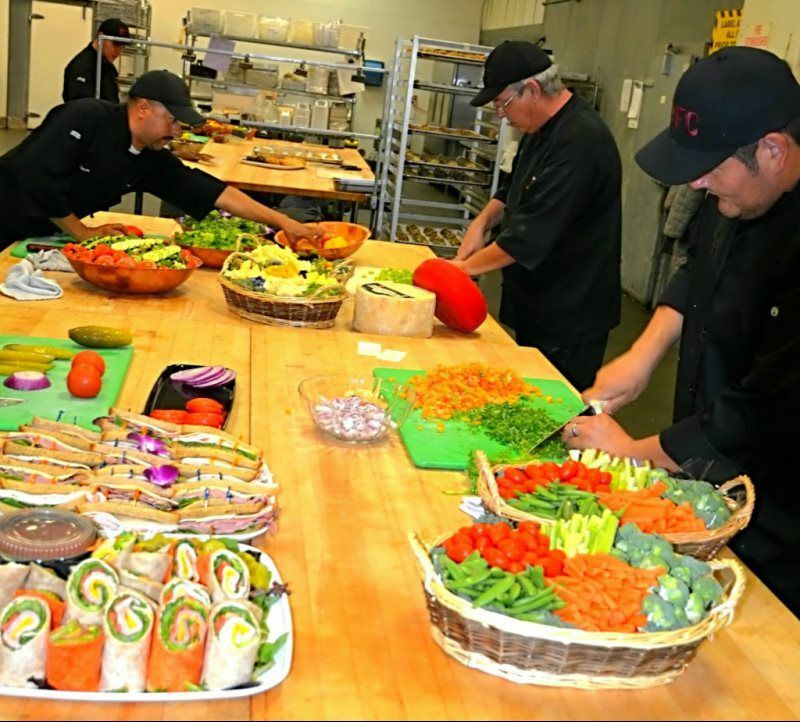 Our off premise catering and drop-off service team is the perfect choice for outdoor events. Why cook when you can relax and enjoy the party? Let us help you with your sporting event, tailgating party, company picnic, family reunion, pig roast, or beach luau! New York Food Company is expert in the art of outdoor catering and events. From tents, tables and chairs to ice sculptures, backdrops, and floral displays, New York Food Company will transform an empty outdoor event space into whatever you envision! Click the link below and contact us now for information regarding your catered event by New York Food Company.